Sometimes when I walk into Forever 21 I get incredibly overwhelmed and I don’t know where to start. That’s why I like at least a little time to browse. I know I can’t walk in to that store with only 5 minutes to shop and find something I love. I’m sure a few of you can vouch for that. I found this beaut at the very back of the store, of course. 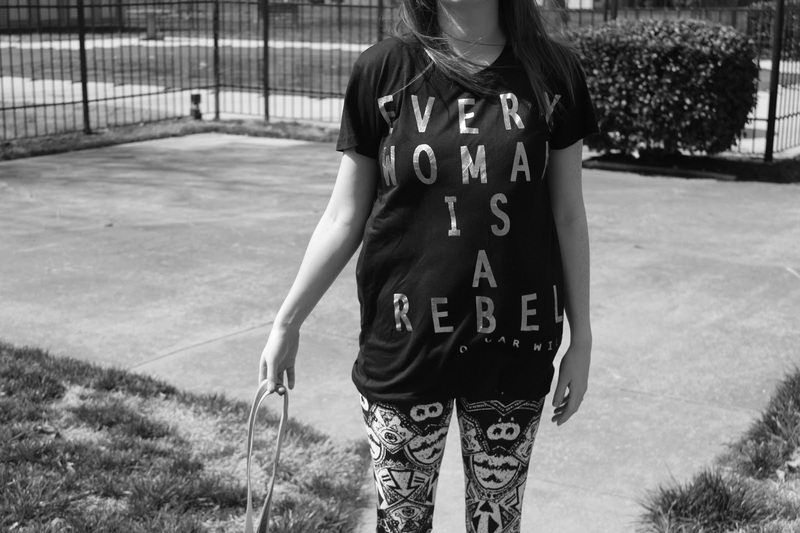 I believe that every woman is a rebel in her own way, that’s why I loved this top. 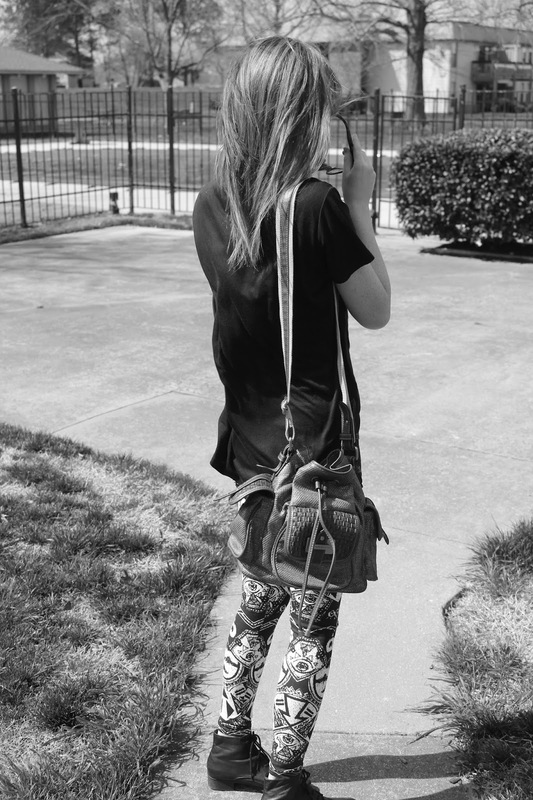 I haven’t even mentioned these leggings! I love them, they’re different and fun and a great addition to my wardrobe. Not to mention they are super comfortable. "Put On Your Best Face"